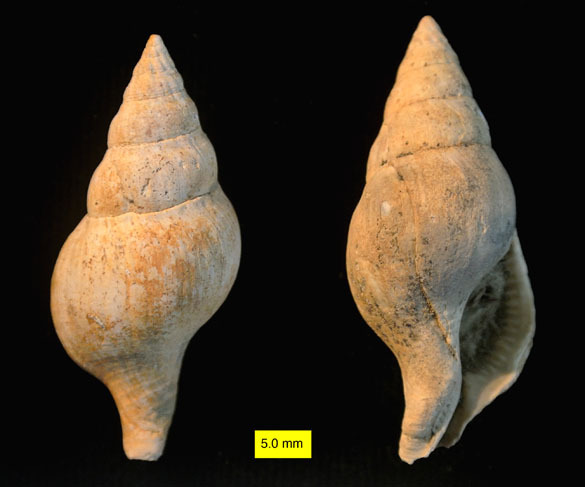 These drab and worn shells from the Pliocene of Cyprus are the remains of deadly little snails still around today. They are from an unknown species of the genus Euthria Gray, 1850. (Sometimes Euthria is considered a subgenus of Buccinulum.) They are fossil whelks (Family Buccinidae) from the Nicosia Formation coral reef community described in earlier posts and in a paper by Dornbos and Wilson (1999). Whelks are carnivorous snails of a group formerly known as the neogastropods. They have an incredible underwater sense of smell through an organ known as the osphradium, enabling them to track down prey items such as clams, other snails, and carrion. (Yes, “tracking down” mostly sessile critters does seem to lack a bit in drama.) With their radulae (essentially tooth-bearing ribbons) they can drill through thick shells. Some are known to cause extensive damage in oyster farms. Their characteristic boreholes have been found in shells since the Cretaceous. Euthria is very widespread today, and contains innumerable species poorly separated from each other by shell morphology. No doubt some later genetic study will show that the genus consists of relatively few species with considerable ecophenotypic variability. Euthria was described by the English naturalist John Edward Gray (1800-1875) in 1850. Gray, who eventually became a fellow of the Royal Society, started his zoological career in a classic way: he volunteered to collect insects for the British Museum in London when he was just 15 years old. He joined the Museum officially in 1824 and stayed there for 50 years, publishing hundreds of papers on zoological topics, from reptiles and birds to snails and clams. Oddly enough, for all his scientific fame, he is also recognized as the first postage stamp collector. In 1840 he purchased a group of Penny Black stamps in order to save them as curiosities rather than use them for mailing. Beets, C. 1987. Notes on Buccinulum (Gastropoda, Buccinidae), a reappraisal. Scripta Geologica 82: 83-100. Fraussen, K. 2002. A new Euthria (Gastropoda: Buccinidae) from New Caledonia. Gloria Maris. Tijdschrift uitgegeven door de Belgische Vereniging voor Conchyliologie 41: 70-74. Petit, R.E. 2012. 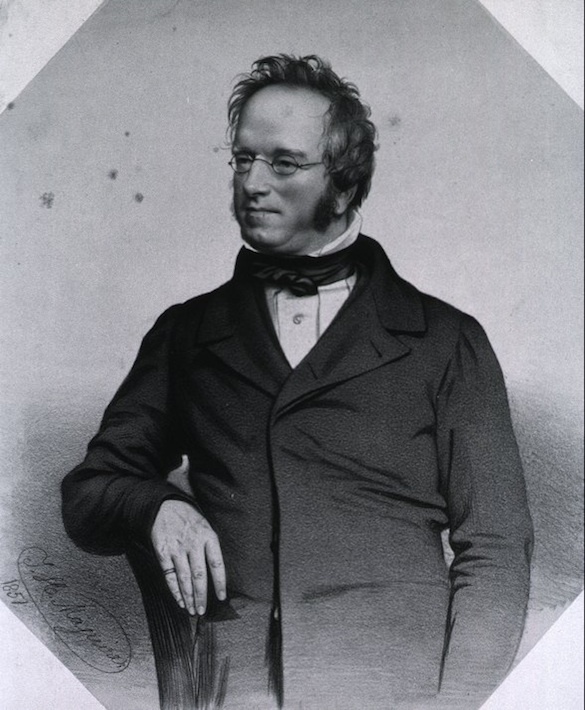 John Edward Gray (1800–1875): his malacological publications and molluscan taxa. Zootaxa 3214: 1-125. Zunino, M. and Pavia, G. 2009. Lower to Middle Miocene Mollusc assemblages from the Torino Hills (NW Italy): Synthesis of new data and chronostratigraphical arrangement. Rivista Italiana di Paleontologia e Stratigrafia 115: 349-370.